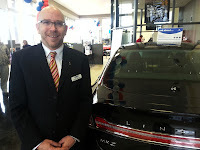 Heiser Ford Lincoln is excited to have Used Car Manager Tim Penn as the newest member of their team. All dealership employees are trained to serve their community of customers in a professional way, and Tim is no exception. In addition, he brings some real southern charm to the job, from his small-town roots in Virginia. Tim was attracted to Heiser as a new transplant to the city because he recognized their strong reputation as a quality provider of automobile sales. Heiser’s “Anything’s Possible” motto also was appealing. It was obvious the company was prepared to go the extra mile to service each customer’s needs. “I enjoy the friendly atmosphere at Heiser,” said Tim. “It’s a feeling you can sense from the minute you walk in the door. Everyone’s goal is customer satisfaction, and I appreciate that from a business,” he continued. Customers find that Tim is proactive in addressing any questions. Reviews of their interactions indicate they appreciate his direct manner when dealing with concerns. He is a refreshing break from the stereotypical dealership, reinforcing Heiser’s competitive advantage. Outside the used car sales department, Tim has an active life. He loves sports and spends his free time playing basketball on several local community teams. In fact, other Heiser managers often join in a game of pickup with Tim, offering him a bit of friendly competition. 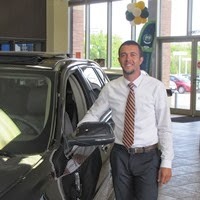 Tim is anxious to greet customers at Heiser and help them find their next vehicle. Cars are his business, but also a love. His first job was at a car museum! It helped him buy his first vehicle, a 1996 Chevrolet Camaro Z28. That was the perfect car for Tim. Now, let him find the same for you! 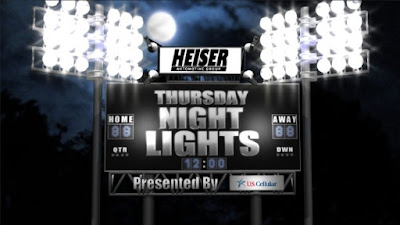 Heiser Ford Lincoln will once again prove that ‘Anything’s Possible’ by sponsoring a special day with all test-drives earning a donation to a local charity. The “Drive 4 UR Community” event will run November 2, 2013 from 10 a.m. to 4 p.m. at the dealership and benefit Autism Speaks. This marks the 4th year of a successful association between the charity and the Glendale automobile group. Heiser Ford Lincoln will collect funds for Autism Speaks for every valid Ford test-drive completed on this first Saturday in November. Each test-drive will earn $20, up to a total of $6,000. Those in the market for a new vehicle can easily participate and help benefit a worthwhile cause at the same time. Ford Motor Company acknowledges it takes a lot of dedication to make a difference in the community. They recognize the efforts of General Manager, Chris Meyer, and Heiser Ford Lincoln, by providing resource programs such as “Drive 4 UR Community.” Through them, volunteers can involve a whole community of supporters to a cause. There are two ways those interested can contribute: Test drive a new vehicle at the Glendale dealership on November 2nd at 1700 W. Silver Spring Drive. Or, visit heiser.com to learn more about the Heiser Automotive Team’s plan to join the ‘Walk for Autism Speaks’ in April, 2014. You knew Ford had actually been listening to American car enthusiasts when it announced not only that it would introduce the Fiesta ST here but also that it would be virtually identical to its European counterpart. This was a paean for those of us who have spent the past couple decades hoping Ford would offer us the seriously fun cars it sells in countries where small doesn't equate to lousy. The power and handling of the Fiesta ST are unmatched by that of other subcompacts, most of which understandably are pitched at the All-I-Need-Is-Some-Basic-Transportation commuter class. Only the Mini Cooper S and Fiat 500 Abarth come anywhere close, but the Fiesta ST has way more power than either — 197 horses versus 181 and 160, respectively — and it's more practical, with a usable backseat and hatchback configuration. And the ST's ride isn't the kind of harsh that the Europeans put up with. Ford Motor Company will roar into Las Vegas next month, showcasing 57 customized vehicles and delivering several exciting announcements as it goes further for the Specialty Equipment Market Association’s premier annual event. The Ford exhibit will feature modified versions of Ford’s most popular models, including Fiesta, Focus, Fusion, Mustang, F-150 and Super Duty. Ford and its aftermarket modifiers will also highlight what’s possible when the European styling of Transit Connect Wagon and Transit Connect cargo van is mixed with the creativity of the industry’s top builders and customizers – “Vandemonium” will be the result. Leading up to the show, Ford will release renderings of the best SEMA project vehicles in Dreamcase, a digital display. The first vehicles to be featured in Dreamcase are 2014 Mustangs and Fiestas, outfitted with the best aftermarket upgrades and wearing custom colors. Enthusiasts are encouraged to view the vehicles in Dreamcase at ford.to/1cwVX6y.